a prejudice, stereotyping and/or discrimination, typically by or against foreign language teachers, on the basis of either being or not being perceived and categorized as a native speaker of a particular language. […] Its endorsement positions individuals from certain language groups as being innately superior to individuals of other language groups (Haughton and Rivers 2013, p.14). 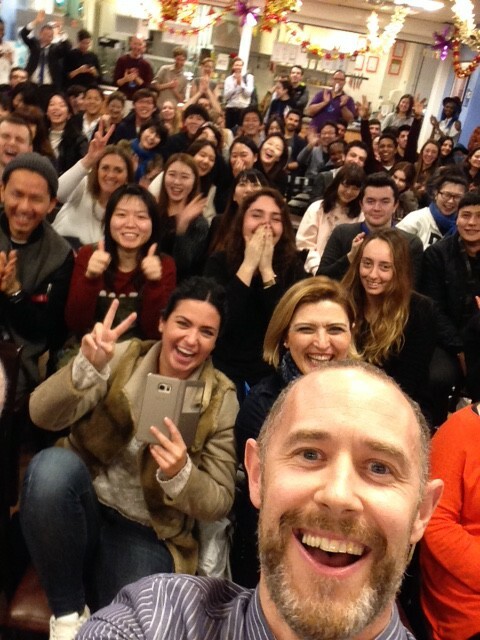 We addressed the issue from three perspectives, that of a ‘non-native speaker’ (Burcu), a recruiter (Josh), and a teacher trainer (Christopher). Each of the speakers offered practical ideas how the prejudice against ‘non-native speakers’ can be overcome. There was also a 30 minute Q&A session. In my previous post on teacher recruitment, I suggested that when recruiting, the first step is to know what you’re looking for. And when it comes down to it, what the Director of Studies always wants is a great teacher. But when drawing up your job description/person specification, what to include? There are multiple qualities and ingredients in ‘what makes a great teacher’…Engaging, patient, professional, fun, able to convey meaning, a strong sense of learner needs, committed to designing lessons which meet those needs, reliable, with high standards, caring, and so on and so forth. The list is (potentially) endless. In this follow-up post on recruitment, I want to consider if ‘native speaker‘ is one of those ingredients. Do you need to be a native speaker to be a great teacher? Should ‘native speaker’ ever be on the job description? Looking at many adverts on online TEFL job sites, you’d think so. 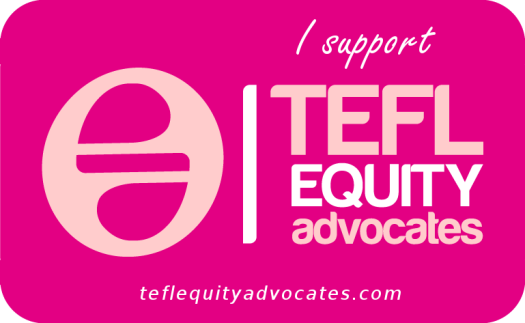 But the question of TEFL Equity is currently gaining more and more attention in numerous forums, and there is a growing campaign to raise awareness of (continuing) discrimination against so-called non-native English speaker teachers (NNESTs). In fact, one of the plenary speakers at this year’s 50th IATEFL conference – Silvana Richardson – will be speaking on ‘The Native Factor‘ and looking at ‘…how the logic of the market is used to justify current discriminatory recruitment practices that still perpetuate the view that a(n unqualified) native speaker is preferable to a qualified and professional ‘non-native teacher’. And later, that same day at the conference, I will be part of a panel discussion on ‘Tackling native-speakerism: NNS, recruitment, teacher training and research perspectives‘, with me giving my perspective as a recruiter, alongside Burcu Akyol (NNS), Christopher Graham (teacher training) and Marek Kiczkowiak (research). But first I want to look back on my experience. What’s my story been as a DOS recruiting NNESTs? Where have I stood within this debate? Reflecting on my track record as a recruiter of teachers, my first thought was that I have always approached recruitment in a fair and equal way. I don’t recall deliberating much over the question of NESTs vs NNESTs, but I can think of numerous non-natives that I have interviewed in recent years, some of whom I have gone on to employ. If I’m completely honest, though, looking further back, it perhaps hasn’t always been this way; I probably have fallen into the trap in the past of unconsciously thinking NEST is best. The school I worked for in the mid 90s, like many others at the time in the UK, used the ‘native teachers only card’ as a selling point in its marketing, and when I became the DOS, it didn’t cross my mind too much when looking at CVs for potential teachers; as a new manager, I was keen to make the ‘right’ decisions, and consciously or unconsciously, I probably only really considered applications from native speakers. As I gained more confidence as a manager, and began to develop my own managerial identity, I felt more able to break with this unspoken policy. The school was a teacher training centre, which meant I could sometimes select the best teachers from our courses, and, I recall that once, when in need of a new teacher, the latest best trainee happened to be a non-native teacher – Maja, from Slovenia. She had great English, and had just cruised successfully through the demands of a TESOL Certificate course; it was an easy decision to take her on. Once I had this experience as a manager of recruiting and working with a non-native teacher, the benefits and advantages that NNESTs could bring to a teaching team were clear. I was much more interested in what non-native applicants could offer, and after Maja, other non-native recruits followed. I remember Marija, who brought a different kind of professionalism and experience to the team – she was certainly more serious about EFL than some of the other (native) teachers in the staffroom. And then there were a couple of Brazilian recruits – one was a Cambridge exam expert, and we needed someone like that for a new FCE course; the other used to talk about pedagogy with colleagues, try out alternative approaches in the classroom, and speak at conferences. I may have had occasional doubts about accent but his attitude towards CPD was something I was really keen to have on the team, and again, not necessarily typical of the native applicants or staff members at the time. So, looking back at those perceived issues above, I came to realise that they didn’t really stand up. I don’t recall ever having any major complaints from students about these non-native teachers. They all had an excellent grasp of the language, having learnt it themselves to a very high level; their knowledge of grammar was arguably better than a lot of the native teachers on the team. And they were all popular, getting very good student feedback, and often requested by students booking 1-1 lessons, which is always a good sign. And since then I have continued to consider and recruit non-native teachers, and it has, more often than not, been a very positive experience. Perhaps I needed Maja, to get me thinking differently about non-native teachers, to make me more aware of the benefits NNESTs can bring. And my position now is this: when looking to recruit a great teacher, you absolutely should not discount applications from NNESTs. The process must be fair and equal. Students want to be taught by a great teacher, and the teacher’s mother-tongue is not an ingredient which defines how great a teacher they can be. So, back to the management research. As mentioned above, I wanted to find out how other academic managers approached recruitment, and what attitudes there were towards recruiting non-native teachers. 2. If not, do you or your school have specific reasons for that? 3. If yes, what is the approximate ratio of non-natives to native speaker teachers on your teaching staff? 5. What have you done in these cases? What was the outcome? 6. Any other comments about recruiting NNESTs? There were 73 respondents, mostly from the UK and some from a number of other countries: UK 48, Italy 7, US 5, Ireland 3, Canada 3, Brazil 2, and 1 each from Argentina, Australia, Singapore, Thailand and The Ukraine. The ratio of NNS to NS teachers: this varied hugely, depending on the context; for example, in Brazil and Argentina, 90% or more of the teachers in the respondents’ schools are non-natives. In the UK, the ratio ranges from 3% to 75%, but the average ratio is 20%. Of the 10 respondents who do not recruit non-native teachers: none said that they have an explicit policy not to recruit NNESTs. Overall, it seems that there are some positives and some negatives in the responses. A majority of respondents do recruit NNESTs. Ten managers, however, do not. In some cases students and agents complain, but nearly all managers said they had resolved issues in a relatively simple way and come up with a range of strategies to handle them. “NNESTs often have a strong sense of vocation –it is a chosen career, rather than something that they ‘end up in’ (see Scott Thornbury, ‘The Unbearable Lightness of EFL’). In my experience those employed in the UK are less prone to coasting. Despite some of the positives coming out of this small scale research, it is clear that discrimination and prejudice continue to occur in ELT recruitment. The main reasons given for not recruiting non-native teachers, however, are based on stereotypes and false assumptions. Recruiters still continue to value teachers more highly because of where they are from, even to the point of ignoring applicants with better qualifications, experience and teaching skills. An important step in finding a solution to this is certainly to do with raising awareness, and one way of doing that is through networks and associations. Back in November, as Chair of the London DOS Association, I invited Varinder Unlu, DOS at IH London, to lead a workshop on the theme; her session ‘NESTs vs NNESTs’ highlighted the reality of English as an International Language, raised awareness of discrimination in TEFL job advertising, presented us with best practices in recruitment, shared some success stories in NNEST recruitment, and got us started as an association on formulating a Statement of Support for the TEFL Equity Campaign. (You can see the resulting statement here). What was reassuring in that meeting was the level of conviction among the members present in the need for fair recruitment practices, and the range of positive experiences in working with non-native teachers in London. I might add that it is also encouraging to see non-native Directors of Studies becoming more and more common in our association. These kind of stories need to be heard! Managers need to understand that NNESTs offer many positives, and that student and agent expectations can be dealt with and explained away. I think my research shows that in the UK, a large number of schools employ non-native teachers with positive outcomes, and if it works here, where the majority of students are incoming visitors, then it should work in other contexts. I hope that the recruiters who do not recruit non-natives reflect on these positive experiences. I recently presented at a conference on the topic of recruitment in an elective slot where the other sessions focused on 1) managing under-performing teachers, and 2) addressing issues with teacher development. Disappointingly, most of the conference attendees went to these other sessions, which is ironic because they wouldn’t have needed to if they had recruited the right teachers in the first place! ‘Recruiting the right people is the key to our success,’ as someone somewhere once said – we’ve heard this before, right? But it couldn’t be more true. It all starts with recruitment. A language teaching organisation, after all, is only as great as its teachers. The teachers in our schools – the operational core – are the main assets in an LTO. But recruiting teachers is not a straightforward process. It is time-consuming, and complex, it involves human fallibility, and is easy to get wrong. And often, the managers tasked with hiring have little or no training in HR. 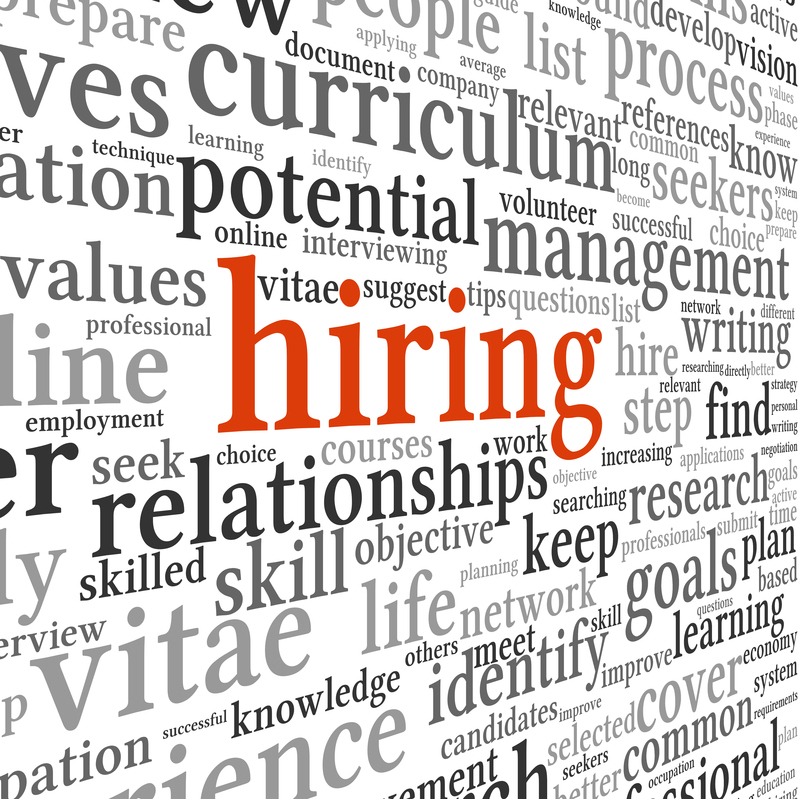 So what are the processes you need to follow to get teacher recruitment right? Firstly, you need to know what you are looking for. A team of teachers is made up of varying personalities, degrees of experience, and areas of expertise. You need to know your team well enough to have a clear profile in mind so you can identify what the strengths are and where the potential gaps lie. You might know that you need a new teacher for a certain course type, or for specific groups of learners. But do you also need someone who can take on a mentoring and coaching role, or who can see and bring in innovation? Or someone who is open to change and can encourage others to embrace new ideas too? Do you just need a teacher, or do you need the kind of teacher who will enhance your team, and help you achieve your institutional goals, now and in the future? Being clear on this is the first step in recruitment. Next, you need to be able to identify what you are looking for in the candidates who apply. And this where the real difficulties begin. How do you know, when an impressive CV lands in your inbox, that the applicant in question really is the ‘enthusiastic, creative and passionate teacher’ they say they are? What is it that makes a great teacher, anyway? We could list multiple qualities to answer that question, but how do you distinguish them at interview? One approach which I now recommend is to develop a set of Competencies and Behaviours for Teachers – a transparent list of expectations for what your teachers need to know and do, and also the behaviours or attitudes that you’d encourage to enable the team to fulfill its potential. …and so on with other sections related to classroom management, students, learning and administration. Developing this kind of list of Competencies and Behaviours can be really useful for appraisals, and managing performance, but is also particularly helpful in recruitment. They give you a clear summary of the qualities you are looking for, and the interview questions and tasks can be designed to elicit evidence of them. With all of the above clearly in mind, you can then follow the simple steps of a recruitment process. Sorry for the boring list below, but it is worth a quick look I think; the steps are simple, but after all these years, I can still get them wrong! Provide pre-interview information: send a job description, a person specification (or the Teacher Competencies and Behaviours doc); inform candidates that referees will be followed up and asked whether there is any reason they should not work with under 18s; other policies can be included such as an equal opportunities or rehabilitation of offenders policy. Set a pre-interview task (e.g. send a double-page spread from a course book and ask them to plan a lesson) to go through in the interview – this provides you with a standard stage in the process which all candidates do, a huge help when comparing them afterwards. Interview with a panel of ideally 3, or at least 2, people posing the questions and noting the responses. It does give rise to possible logistical issues of course – do you have the staff, and do you and they have the time, to form an interview panel? But this is definitely best practice and minimises any potential biases and balances out perspectives. You will notice that you and your panel members will not always agree and will pick up on different points, but the discussion about who is the best candidate will be better informed. If interested, get references asap! This is crucial. And don’t simply accept the referees suggested by the candidate; maybe you’d be interested to hear from a different previous employer, so just ask if you can contact them as well. Explore references which are too concise; ask for a telephone reference if necessary. I have several times in the past ignored less-than-positive references probably because I wanted a candidate and was projecting a positive light on them – and have later regretted it. Job offer – obviously give the good news with enthusiasm! Hopefully they will accept. Child protection and safeguarding procedures (DBS) – this is essential in my context where we accept 16 & 17 year olds on adult courses. Overseas Police checks – this is a new step, and just raises the bar a little in terms of child protection; namely asking for a police check in countries where the candidate has taught for 6 months or more in the last 5 years. Induction – very important to have a supportive and ongoing induction process. Get back to unsuccessful interviewees and provide constructive feedback when requested. Teacher Development (TD) has always been an area of interest for me as an academic manager. It provides a focus on a couple of key challenges which I enjoy taking on – how to raise teaching standards in a school, and how to grow a culture of learning and collaboration within a teaching team. And managing change is something you always have to face as a DOS, and it also represents the kind of challenge that I relish. They both allow us to prove ourselves, to set out a vision for quality, and to establish an identity as a Director of Studies. So when I joined a new school (18 months ago), the TD programme was one of the first areas that I wanted to evaluate, and if necessary – change. My beliefs about TD have evolved over the years and have been influenced by various ideas and guiding principles. Being connected to the profession is an important factor – I have personally experienced the impact on my own development from connecting with practitioners both locally (for example via the London DOS Association) and more widely, via conferences or social networks (facebook, blogs) and online CPD (webinars). 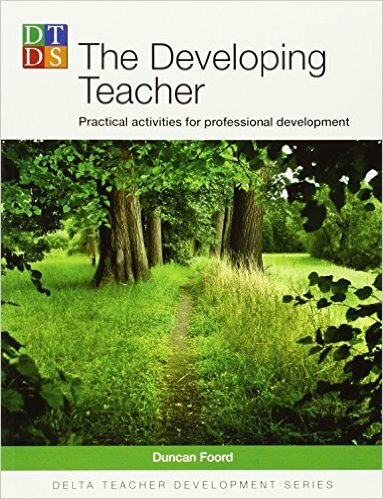 Duncan Foord’s ‘The Developing Teacher’ (2009) has been a big influence; it contains a good section on theory, followed by loads of practical ideas for developmental activities. And these ingredients provided me with the criteria against which I could evaluate the existing TD programme when I took up my new post in the Spring of last year. The school I joined was in good shape. It had recently achieved excellent results in a British Council inspection, the majority of teachers (almost 70%) were TEFLQ, it was a teacher-training centre for Trinity Cert TESOL courses, and part of a wider group with a strong reputation for quality. So improving standards was not an urgent challenge, but it was what I set out to do, as I told the new team at my first staff meeting. The TD programme was coasting, so I started to introduce some changes to revitalize it. The initial changes were minor and gradual; I set up some swapshops, included some split sessions to offer a choice of focus, had co-presenters deliver workshops with follow-up feedback sessions, and set up an online Wiggio forum to encourage ideas sharing and collaboration. Then I had my big idea! Personalised Development Groups. And here it is, set out in a slightly reduced proposal document. What do you think of it as an idea? And what challenges do you think it presents in terms of managing and implementing change? In my next post, I will look back at the PDGs project and comment on how to manage change, and I’ll reflect on the success (or otherwise) of introducing a new approach to the TD programme. To achieve a more tailored and personalised approach to teacher development at St Giles Central: Personalised Development Groups. Individual teacher development – a more tailored approach within the Personalised Development Groups. Pathways – to personalise Teacher Development by tapping into teachers’ areas of interest, and to explore questions related to it; to encourage teacher learning within a collaborative and supportive group. Mentors take responsibility for a given Pathway; teachers are able to choose the pathway which they are interested in, allowing for personalisation and ownership. Groups of maximum 8 people, comprising of 1-2 Mentors and up to 6 teachers – teachers should have a more active role in their development; groups stay together for a 2 month pilot period during which there are four sessions and a final meeting for groups to report back. The TD Programme includes at least 2 PDG Sessions per month; the rest of the monthly TD Programme continues to include INSET for the whole team, and split workshop sessions. To tap into the talents, interests and desire for added responsibility among the Permanent Teachers, many of whom are keen on the idea of mentoring / teacher training. To tailor CPD to teachers’ areas of interest. To encourage teachers to take more ownership for their CPD, with greater involvement and input on what they do and how. To foster new working relationships and provide opportunities for collaboration. To help teachers develop good habits in reflective practice through adopting an enquiry-based approach to teaching and classroom practice. (For the Academic management team) to gain further insights about individual teacher strengths & areas for development. To gain new insights and develop knowledge about best practice in ELT through multiple small scale action research projects. To make the first steps towards presenting research/experience at IATEFL. Firstly, I wanted to elaborate on the meaning or perception of ‘coasting’ – how could we define it, or at least describe it? Does it tend to refer to younger or older teachers, or all ages? And if it implies a pejorative connotation, what might be the opposite of coasting? Is it when you can’t be bothered to prepare anything so you just play a DVD? Stuck in your comfort zone. Doing something without putting much effort into it. I think age is irrelevant; any teacher of any age might be ‘coasting’, although it does come into other people’s perceptions (cf the question about dinosaurs). One colleague shared the link to a fascinating talk given by Tessa Woodward on The Professional Life Cycles of Teachers where she explores the research of Michael Huberman into Teacher Career Cycles; his research looked at how teachers view older/younger colleagues, and whether managers tend to ‘typecast’ their teachers, the suspicion being that they ‘knew which teachers would grow stale’. He also outlined the typical phases that teachers go through if they remain in an institution over a long period. Interesting stuff. The opposite of coasting? Teachers who are engaged, connected, developing, creative, who approach their work with a sense of enquiry, who go the extra mile. It is probably easy for most of us in this profession to picture past or present colleagues who seem to fit into these opposing ‘categories’. Next, it is essential to consider the causes – what might cause a teacher to coast? And also consider what are the ‘threats’ for the school – why is it a problem? 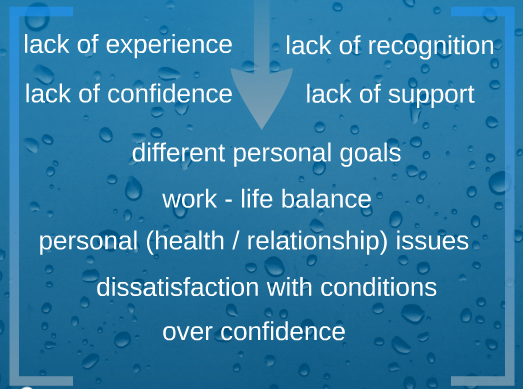 These possible causes all point to the need for managers to really know their staff, to find out what is behind the issue, and avoid ‘typecasting’. It might not always be what we think, or what our ‘bias’ might lead us to believe. And the threats? Why should coasting teachers concern us? 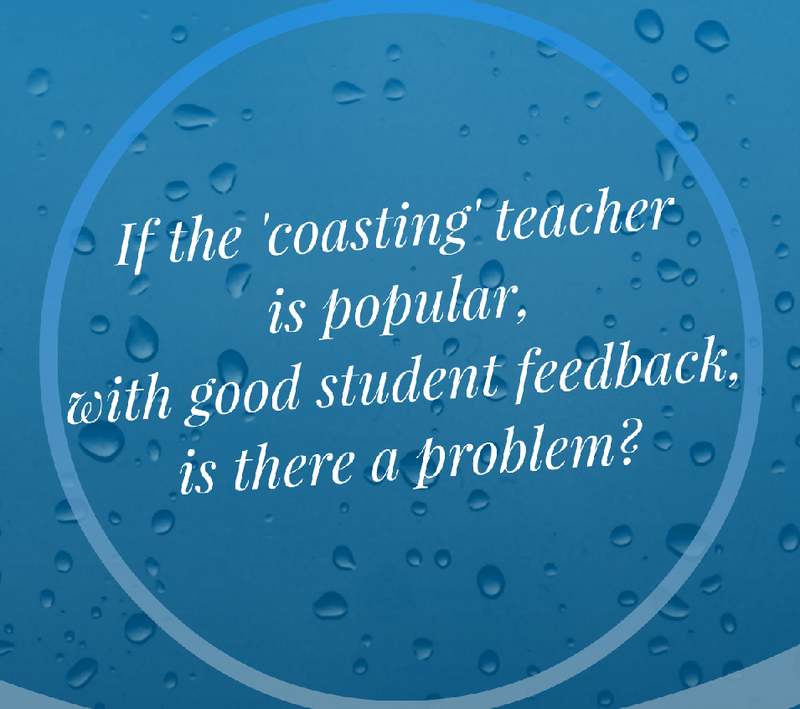 If the coasting teacher is popular with good student feedback, is there a problem? As managers, we must be consistent. We must expect and ask the same of all our staff, not just the ones who respond positively to our demands. Of course, if a coasting teacher is keeping their students happy, then it is easy to let them off the hook, and avoid dealing with the issue. But the result of this is to turn an issue into a long-term problem, because the more you turn a blind eye, the harder it becomes to deal with; a coasting individual can potentially have a negative impact on students, on other staff members and ultimately on the institution. So how to manage it? The first thing is to confront your own perspective: why do you feel bad about asking the coasting teacher to get out of their comfort zone and engage in their work? What are you really asking of them? Now the institution I work in is accredited by various inspection schemes, we strive for quality, we are continuously aiming to drive standards, and we have a good reputation. So my perspective on this matter is that all I am asking is for teachers to meet the standards and expectations of the school. This is not some kind of hidden, secret trick; I have not seduced anyone to come and work for me and then sprung something unexpected on them. I don’t think I am asking too much. To ensure the academic vision is clear, then, there are 3 management headline strategies: Communicate, Lead by example, and Culture. And promote a culture of learning, collaboration and development – look to recruit teachers who are engaged, don’t ignore the power of a positive staffroom. And give opportunities to those who shine and go the extra mile, not just to the next longest-serving teacher in line. Then there is clearly a need to manage performance. 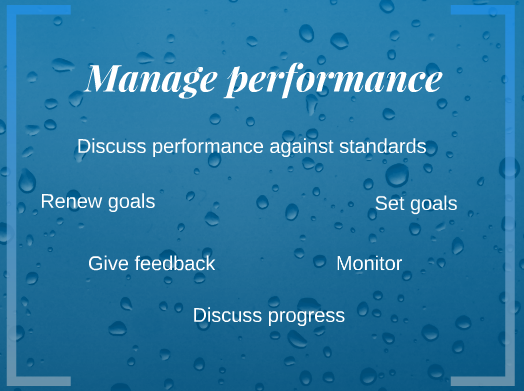 In appraisals and catch-up chats, you need to address under-performance (coasting), explore the possible causes, (re-)highlight the expectations and standards, and set goals which will improve performance. I know that some managers and teachers feel that measuring teaching performance is too abstract (and for some, too controversial), but there are tools which can help both to do this. The European Profiling Grid is one such tool; it attempts to describe training and qualifications, and teaching competencies and behaviours from entry level to very experienced, and can be used as a reference for discussion between manager and teacher to look at standards and set goals. And, finally, it is important to understand and manage motivation. Deal with the hygiene factors as much as you can – ensure good work conditions and facilities, keep admin and prescriptive policies to a minimum – and really enhance and emphasize the motivators. Set out a relevant and varied teacher development programme with choice and collaboration at its heart, offer job variety and challenge with a range of courses and responsibilities, allow space for autonomy and creativity, share positive feedback, say thank you and offer praise, and give recognition to those who go the extra mile. Once these areas have been considered, and these management strategies acted upon, and lots of specific and positive support has been given, then you should have managed to set out a clear pathway to revitalize a coasting teacher. Do you have a success story to share? How did you deal with a coasting teacher? Or are you in the midst of an on-going saga? Where and how are you getting stuck? As one of the IATEFL LAM SIG Committee members, I’m delighted to be involved in organising another conference event, this time with ELT Ireland. In modern and successful English Language Teaching Organisations, effective communication plays a critical part yet it will always be one of the most difficult and complex skills that the ELT Manager needs to develop. Whether it be communicating with staff, students, line-managers, other stakeholders or the wider ELT community, managers need to develop wide-ranging skills, plan strategically and employ a variety of tools – all of which requires constant re-assessment. 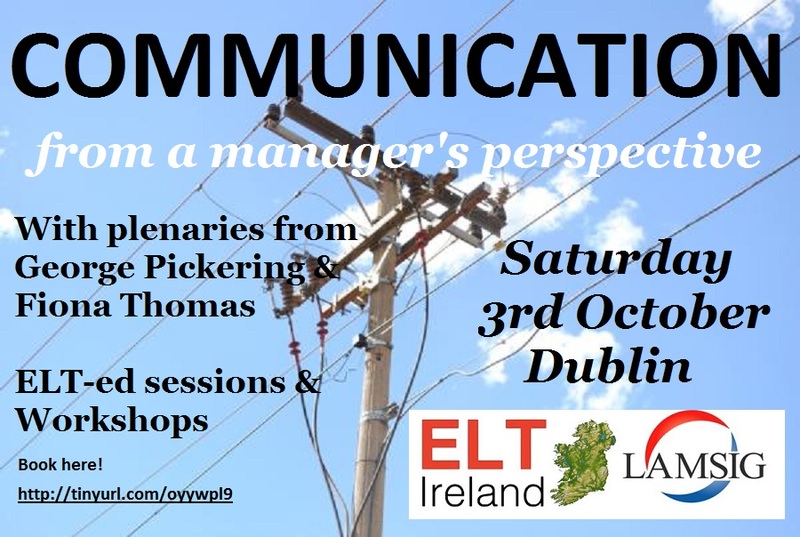 The IATEFL Leadership and Management Special Interest Group and ELT Ireland invite you to a 1 day event on Saturday October 3rd in Dublin to explore the issues and challenges involved in getting communication right. With plenaries from George Pickering and Fiona Thomas, ELT-ed sessions, and talks and workshops from Michael Carrier, Loraine Kennedy, Maureen McGarvey, Gill Davidson, and Mike Hogan, there will be much to inspire you and provoke thought and debate. We are also very grateful to have sponsorship from Cambridge English Language Assessment for the day’s catering and refreshments.